On 26 May 2012, the amended Privacy and Electronic Communications regulation comes into force in the UK and EU. Here is a link to the actual law. On May 26th 2011 the EU originated law came into effect that requires website owners to make significant changes to their sites and may fundamentally change the whole web browsing and shopping experience for everybody. 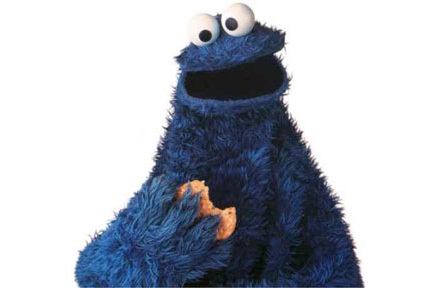 This Cookie Law is amended privacy legislation that requires websites to obtain informed consent from visitors before they can store or retrieve any information on a computer or any other web connected device. Yes, we know about this issue, we have been debating it internally for a year, but to be honest, in my view it is a bad legislation. There are too many grey areas. The information being collected by cookies is usually used in a positive way, helping everyone to get targeted information, rather than constantly getting information you don’t need (junk). All websites will need to be modified so it is a big job for any web developer, but I do not know what to inform our clients yet because it is only now becoming clear exactly what to implement. Basically if we just disable cookies, Google Analytics and the website admin, and maybe other add-ons, will stop working. This is not good for anyone. Instead the website needs to ask permission for people to accept cookies, then if the visitor choose yes, we can enable cookies and Google Analytics and the Website Admin will work. The problem is they will already be on the home page, so Analytics will not track that initial landing. If people choose No then analytics won’t track them at all. We then also have to modify our Content Management and the other systems to only leave a cookie when a user agrees to accept it. As yet Joomla and other CMSs, and even Google, have not released information on how to do this. Also, we need to decide on how to add the pop-up. Some sites just pop-up right in the middle of the screen, sooo bad for design, just destroying the user experience, some people may even leave. Some sites put a subtle bar across the top, or bottom corner. There are other solutions that we will offer you very soon. We do not want to kill Google Analytics due to all the people that will ignore a message or choose no, unless google release an alternate method, or we assume consent in the first place. So, we are working on some solutions right now and we will be in touch soon with some ideas. If we are pushed into a corner, we will adopt BT’s idea.